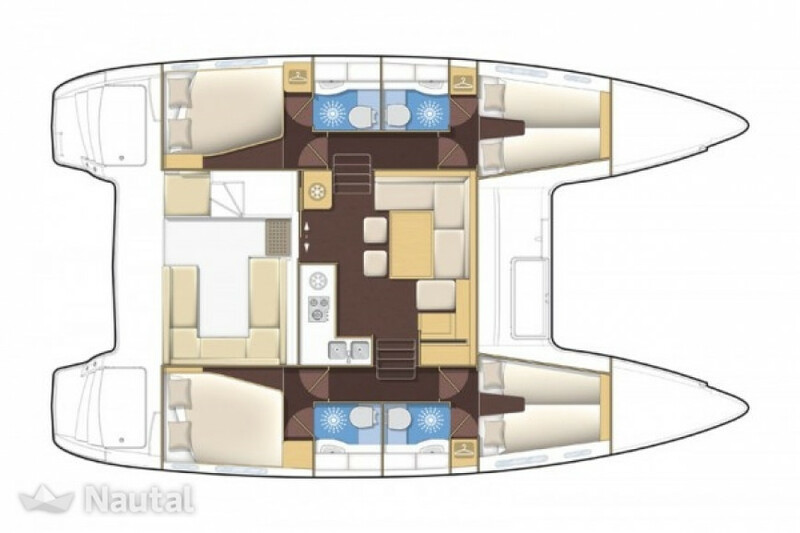 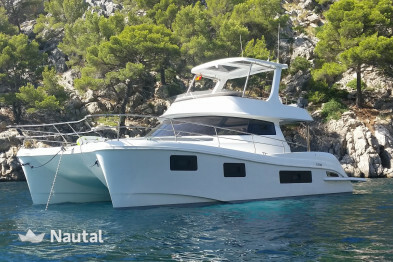 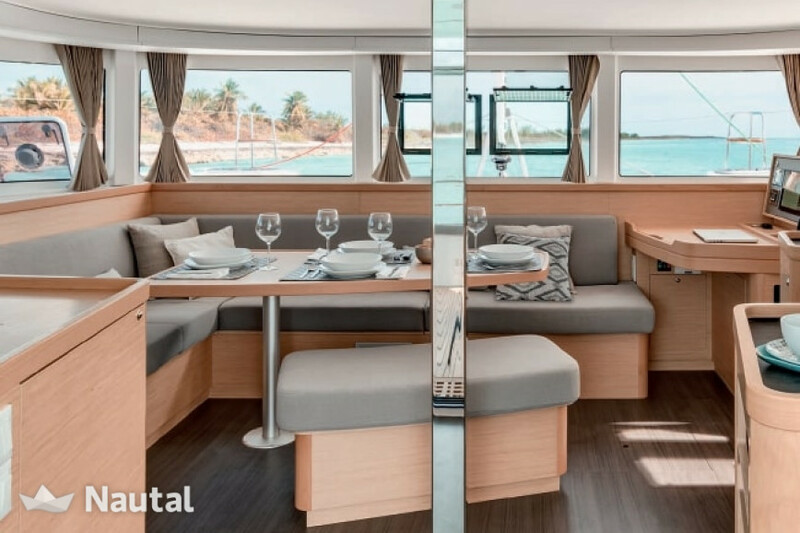 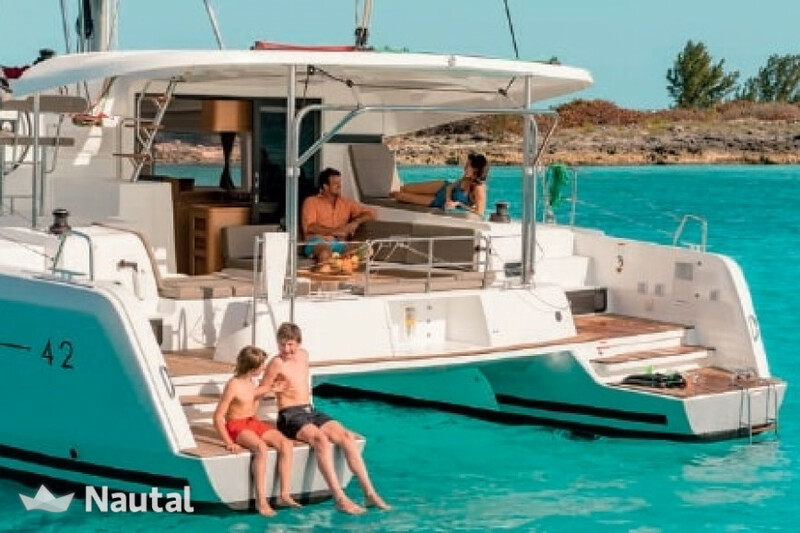 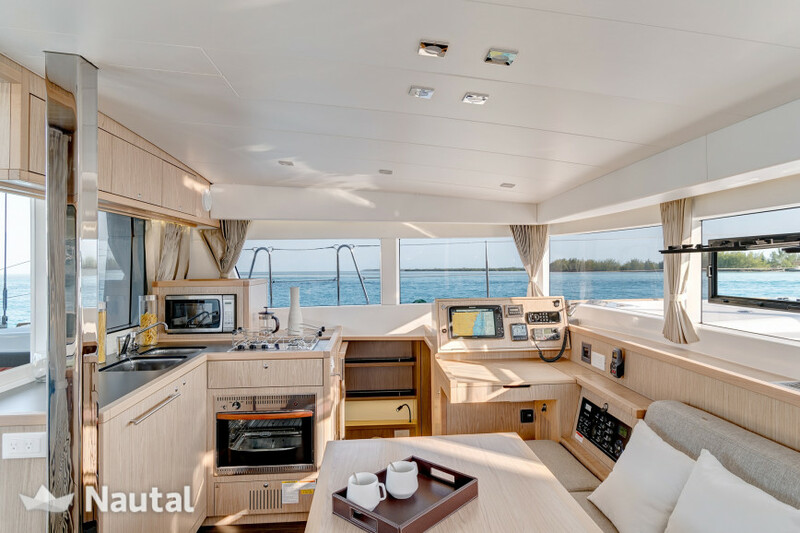 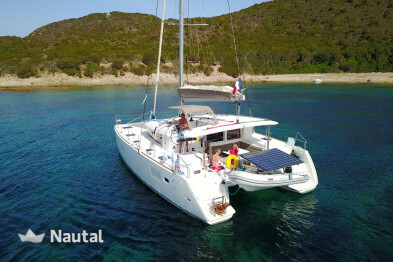 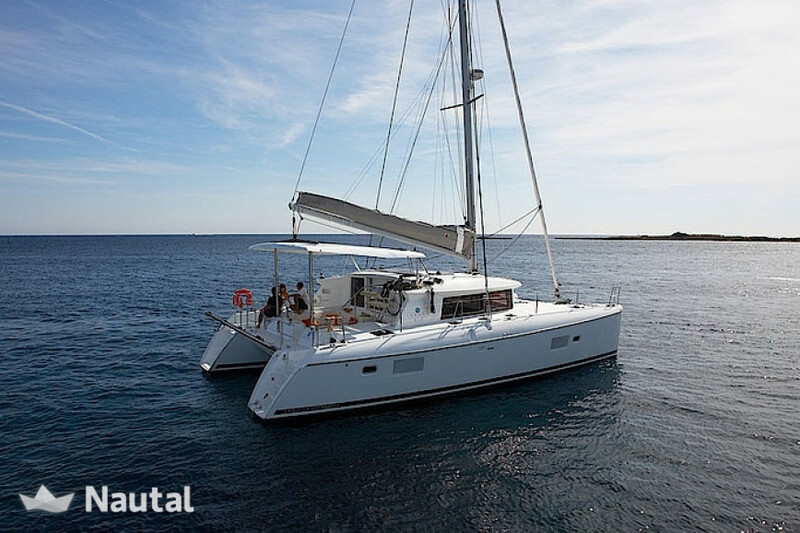 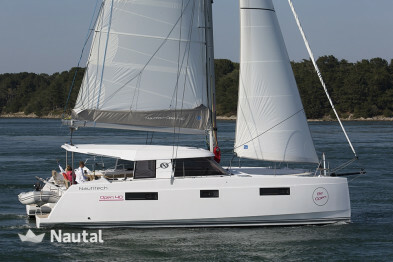 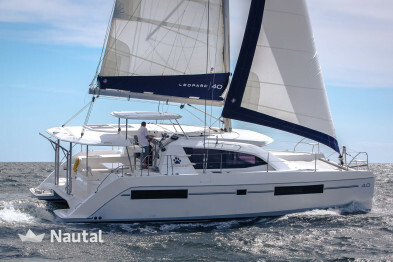 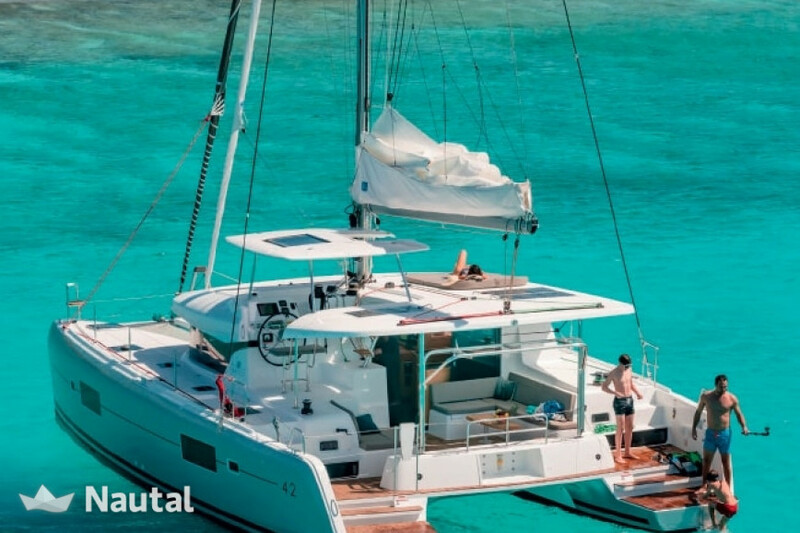 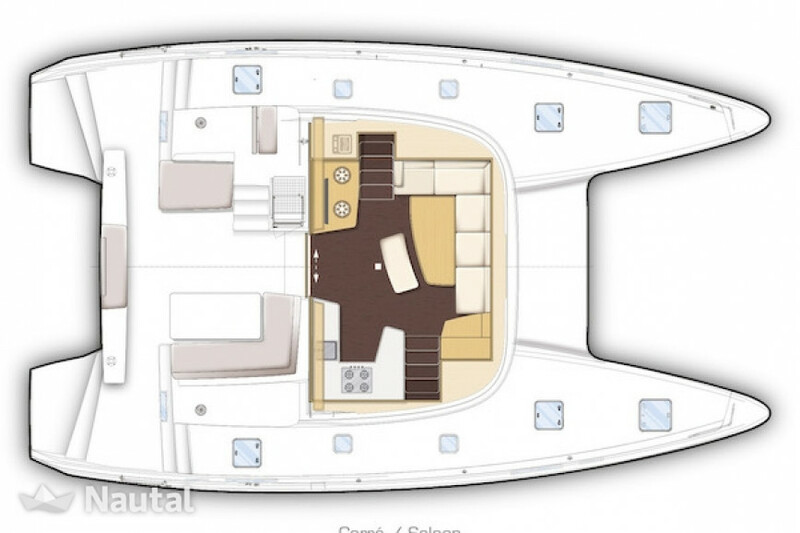 The Lagoon 42 has been well thought out: It is spacious, well laid out and has large spaces both inside and out. 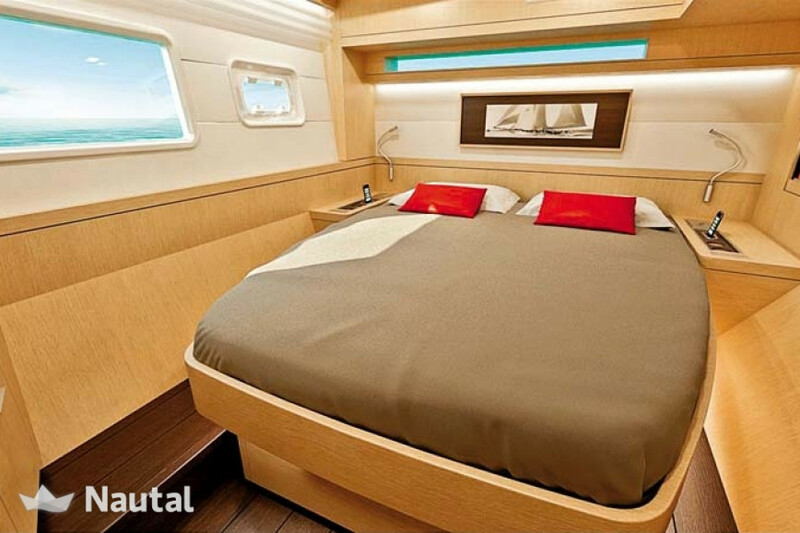 Thus 12 people can easily live together, divided into 4 cabins. 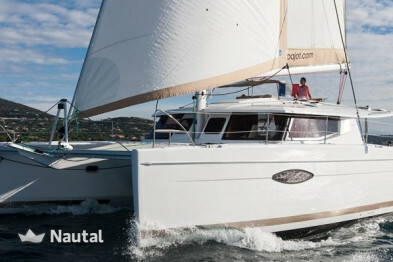 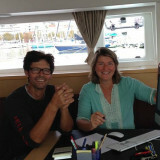 Its remote mast allows visibility from the cockpit and the saloon but also makes the boat more ardent. 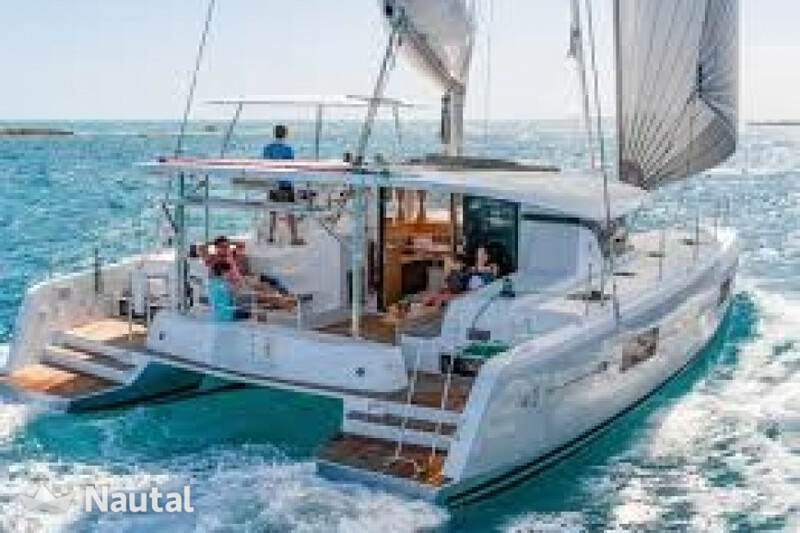 France, Var - Saint-Raphaël. 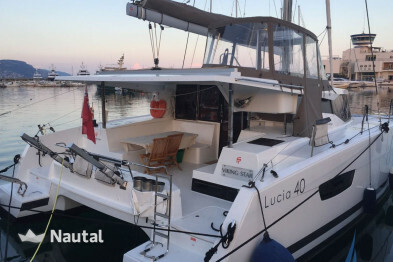 Harbour: Port Santa Lucia.